Last week I shared with you an article I read about collecting. The Antique Week newspaper was encouraging it's readers to keep collecting. The article mentioned that items that were being collected were going up in value. Now I have always said, the items that are for sale are only worth the price if someone is willing to pay it. There are different ways of collecting. You can collect a line of something, like Limoges china, first edition books or the work of an artist you like. You could also decide to collect things specific to areas, like pottery made in Italy, or Poland. The point is, if you find something that you enjoy, and you have a way to display or store them, make your collection work for you. Whenever I have friends over for tea or lunch, I really enjoy using the pretty tea cups and tea pots. Let's talk next week about where to go to find a treasure to collect. Please join Coloradolady and Vintage Thingie Thursday. Every Spring, I am enthralled with this beautiful English Dogwood. I was visiting my in laws on Saturday, and as I was leaving I noticed that the tree was in full bloom. I don't remember how old this tree is, but it has been in my in laws back yard for as long as I can remember. It sure does say "Welcome Spring!" Don't you love it when Spring time raises it's pretty head and let's us sit outside to share in the warmth of the sunrise? Please stop by and visit these lovely tea parties. We were traveling last week. So when we stopped in an Antique shop in Greenville NC, we picked up a copy of Antique Week. It was an old copy, dated February 28, but it had some interesting articles. One thing that caught my eye, was an article about collecting. I did not read the whole article, and sadly it was left behind when we headed home. But the gest of the article was how collecting anything nowadays is a good thing. Well I've known that for years :-) I've collected things since I was a child. You know the kind of things. Rocks, seashells, coins etc, etc..... But over the years my collecting has taken to include things that I use in my home. I thought I would share some ideas about collecting. Do you collect anything special?? Some people start a collection because of a gift, or because they like a certain line of something. Years ago I used to go with an Aunt who loved to collect Bristol vases. We went to garage sales, antique shops, antique shows. She would look at so many beautiful things. And through my time spent with this Aunt, I think I learned a few things too. I am a quilter, so whenever we go to an antique shop, I look at the quilts. Sometimes they are in great shape, and sometimes they are rags. But because I am a quilter, I look for certain characteristics in a vintage quilt. And when I come across one at a reasonable price, it comes home with me. I've not bought many quilts, but it is still fun to look at them. Isn't it fun to find treasures? Last week our family took some time away as my son was off for Spring Break. We traveled to the mountains of West Virginia, and then on to North Carolina. While my hubby was in meetings my daughter and I explored some Antique Malls in New Bern. And of course we came away with some treasures. I love these Syracuse cups. I collect made in USA dinnerware, and these have such a lovely pink floral design. I was only going to buy two, but when we were checking out, the owner said "wait" and she brought out two more and gave them to me, no additional charge :-) So all four were had to $2. On this trip, I was on the look out for a specific item. This item!! I've looked for a scale in other places, but they were always too pricey or in terrible condition. This one was in my price range. So it came home with me. 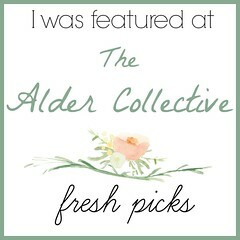 I am joining Coloradolady this week for Vintage Thingie Thursday. Spring is definitely in the air. Everything in our area is bursting with color. So in honor of SPRING and all the beauty it brings, let's have a Spring Time Tea Party. How fun it is to spread the table with flowers and butterflies. Many years ago, a dear friend shared her recipe for Granola. Our family loves it, so here it is! Combine these ingredients together in a large mixing bowl. Bake at 275 degrees for 60 minutes, stirring every 15 minutes. During the last 15 minutes, stir in 1/2 cup of raisins. Cool, and store in airtight containers. Serve as cereal with milk. Thanks Gladys! After all these years, we still love it! I have not done this in a while, so I thought I would share my day. answers as real as the formative moments in your life. As I have aged I seem to grow more and more prone to nostalgia. verse that would lead you to conversion. I was there." where God leaves a defining mark. There is reason you remember such moments so vividly. been in our past. God is here today. God will be there in our future. question "Where were you?" with tears of his own. you now. And He loves you. greatest marker in all time. Vintage. I love to dig around in Antique shops looking at all of the Vintage things from yesteryear. Do you ever wonder where things came from. Who used them? What was the occasion?? From the time I was a little girl, I remember this item being in our home. I don't know how long my mother had it, or where she got it, but for 50+ years, it's been a staple either in my Mom's home or mine. It has a couple of nicks on it, but the color is just the same as the bowl. I think they make a nice pair, don't you?? Please join ColoradoLady at Vintage Thingie Thursday. Now that the weather is warming up in the deep south, we can start enjoying our porch. Join me for breakfast, won't you?? A couple of months ago, Coloradolady gave out a challenge. The challenge was to write letters! Now I know writing letters does not sound like very much of a challenge, but when you take into account that letter writing has basically gone out of vogue, it puts things into a new light. As Suzanne mentions on her blog, a 12 month commitment to anything nowadays is a challenge in itself. "FIRST, FIFTH, FOREVER That translates to The FIRST of the month, the FIFTH day, and a FOREVER stamp being used, or changing someone's life in an instant or forever, just by a little time and a card. Letter writing is a dying thing, in our busy worlds we live in, we don't take the time for such things anymore. Is there someone who you have never told how much they meant to you? What about someone who goes out of their way to make you smile, is there a lonely relative who would love to receive a special greeting? I am sure you could think of a few to send." For the first two months, I sent cards with a personal note to special people who have had an impact on my life. It only took a few minutes, one stamp, and I hope that it encouraged their heart. We all need encouragement from time to time. So how about you? Can you take a few minutes today, and send a personal note, add a stamp and mail it to someone who has invested in you? Can you think of a friend, relative, a Senior citizen or even just someone you respect? On the 5th you can link up with Coloradolady for First, Fifth, Forever. This month I am writing to a lady who has just gone through her 46th surgery. I've never met her except online, but she has been an encouragement to me, and I think she could use some cheering during her recovery. I'm linking up with Spiritual Sundays. I can't think of a better way to honor the Lord, then to share a few moments of your time and let someone know how they have blessed your life. This has to be my very favorite time of year! During an antique shopping trip, I was browsing up and down, row upon row of booths filled with every this and that you can think of, my eyes came upon this little grouping. A breakfast set, in the most creamy blue color you have ever laid your eyes on. I have to tell you that my heart skipped a beat when I saw this lovely shade of blue. I have a real weakness for china and pretty dishes. Mostly ones made in England and the good ole US of A. This set is Johnson Brothers made in England. Can't you just picture some fine lady receiving her breakfast in bed served on this beautiful display of china?? Egg in the egg cup, oatmeal in the bowl (or grits if she was from the south) and toast under the cover. A perfectly brewed pot of tea or coffee with fresh cream and a dash of sugar. 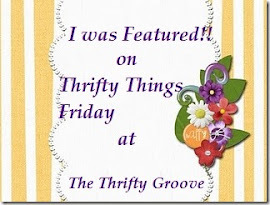 Please join me at Coloradoladys Vintage Thingie Thursday. The days are warmer, and we are seeing signs of Spring here in the deep South. The other day when I went by our old house I was overtaken by the beauty of this blooming tree. I even turned around to get a better picture. It absolutely looks like it is exploding with color. Thank you Susan at Southern Daydreamer for sharing Outdoor Wednesday!